not coming is Android support. 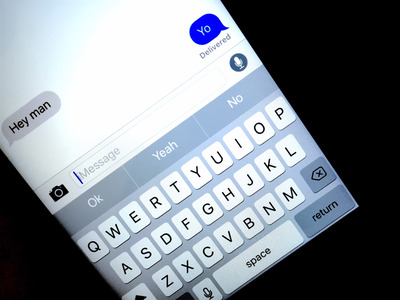 The iPhone maker laid out two clear reasons why it doesn’t plan on bringing its messaging service to Android in a conversation with The Verge’s Walt Mossberg. When I asked a senior Apple executive why iMessage wasn’t being expanded to other platforms, he gave two answers. First, he said, Apple considers its own user base of 1 billion active devices to provide a large enough data set for any possible AI learning the company is working on. And, second, having a superior messaging platform that only worked on Apple devices would help sales of those devices — the company’s classic (and successful) rationale for years. The fact that iMessage only works on Apple devices is one of its biggest strengths for the company because it encourages people to use the iPhone. There are countless stories of people making the switch to Android and missing a large bulk of their messages or not being able to receive texts from other iMessage users. Another benefit iMessage (and by extension the iPhone) has is that it works over the internet instead of a cellular signal like SMS, so you can use iMessage anywhere you have WiFi access. Apple already has 1 billion people using its software, so the pressure to open iMessage up to more people through Android just isn’t that strong. In short, those green bubbles aren’t going away.